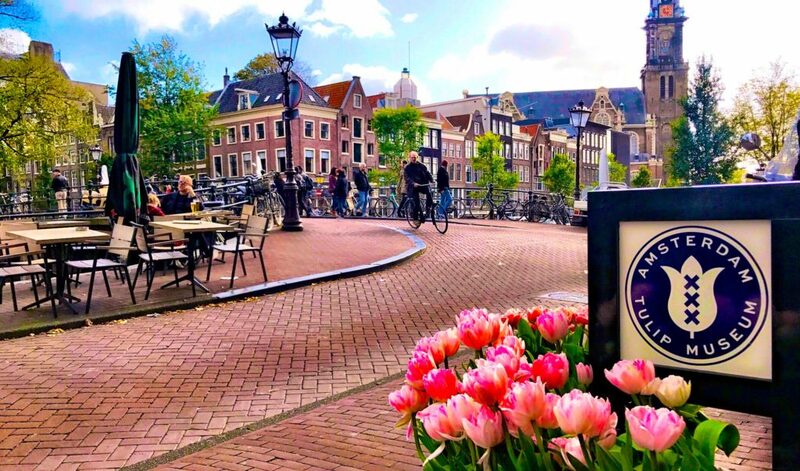 Ohhhhhh Amsterdam….by FAR one of my favorite cities that we’ve been to. You’ll fall in love with the architecture, food, history, bikes, beer, cheese, culture…basically everything! High time for tourism is the summer months, so we snuck in in early October, when the leaves were changing and it was far less crowded and still absolutely gorgeous! DO NOTE that Amsterdam is sometimes called ‘The Seattle of Europe,’ and we totally realized why…it rained A LOT while we visited. If you’re planning to go in the fall, bring a rain coat, umbrella and rain boots! 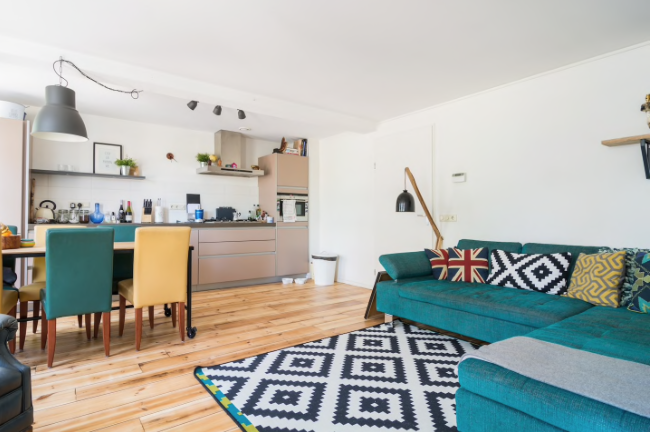 If you’re ok with staying a 10 -minute bike ride from the city center, then our Oosterparkbuurt Airbnb is a fantastic option! Airbnb is definitely the way to go in Amsterdam, as it is much more cost effective, spacious and comfy than a hotel. Our Airbnb was one of the best we’ve stayed in so far, located next door to a grocery store, restaurants, a bike rental shop, the mentor, a gym and a yoga studio-not to mention they’re dog friendly, which Miesha (our fluffy fur-baby) was happy about! 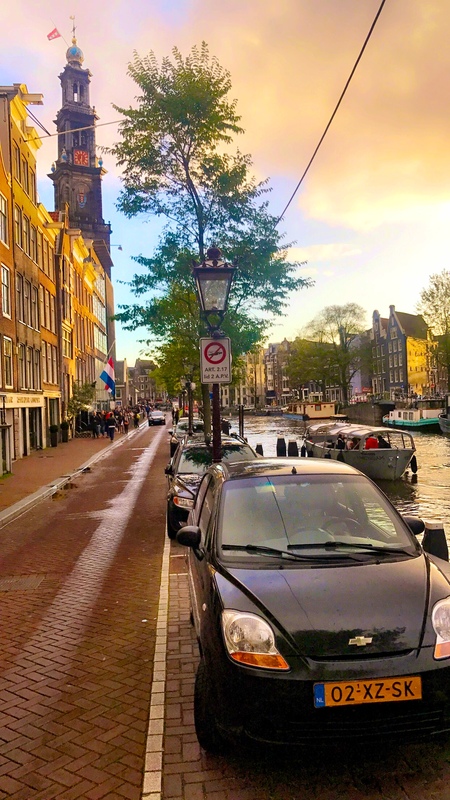 When we head back to Amsterdam, this will certainly by the apartment we return to, not to mention that the hosts were incredibly accommodating with our early morning arrival/late departure. Amsterdam is a bicycle city like no other! Fortunately, bike lanes are integrated into every aspect of the city and more there are more bikers than cars (be sure to be on the lookout for bikers when crossing the street), it’s truly incredible! There is no better way to explore and see the city than by renting bikes to get around. The city is small enough that you can virtually bike anywhere within 30 minutes maximum and, for around 10Euros a day, you can’t beat it! 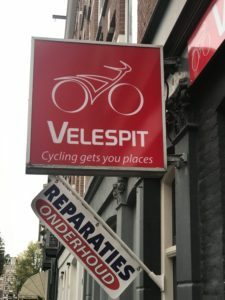 There was a great bike shop located just next to our Airbnb, Velespit Bike Rental Oosterparkbuurt and the bike shop attendant was very friendly and kind. Do note the hours of daily rental, so you don’t get charged an additional day if you miss the cut off time. When it was super rainy and we didn’t feel like getting soaking wet, we took Uber’s, which were readily available within minutes and about the same price as big cities in the USA. We also Ubered from the airport to our Airbnb for about $30USD, although there are many taxis readily available. 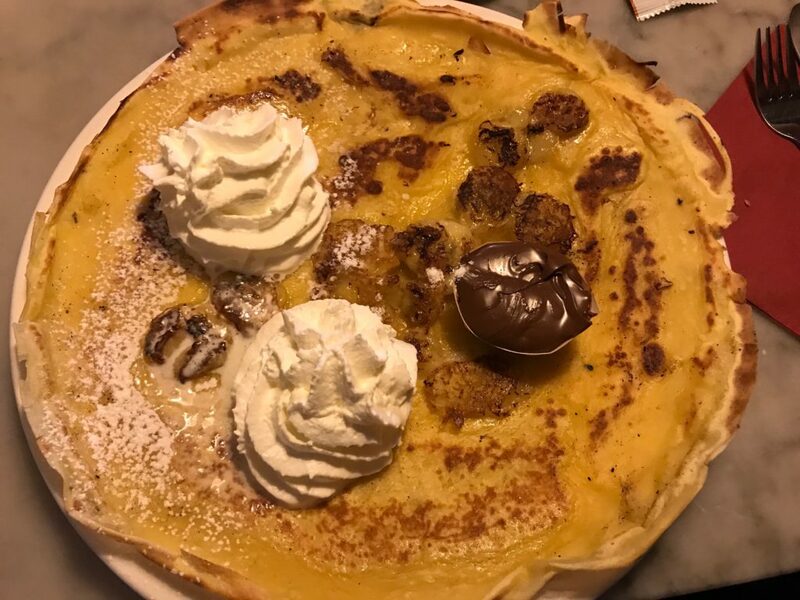 Yum Yum Yummmmmmm….if you love pancakes covered in any kind of topping you could imagine (ice cream, Nutella, fruit, veggies, you name it), then The Pancake House is the place for you. Do note that these are thin, Dutch pancakes, (almost like crepes) and not the fluffy buttermilk American kind. We loved this place so much and wanted to go back the next day, but couldn’t fit it in. 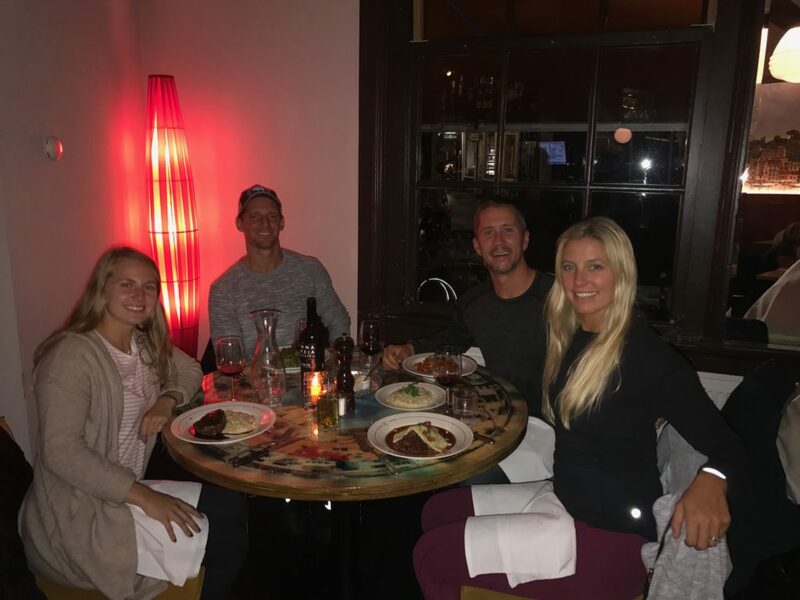 This restaurant has some of the best Italian food we’ve ever eaten! 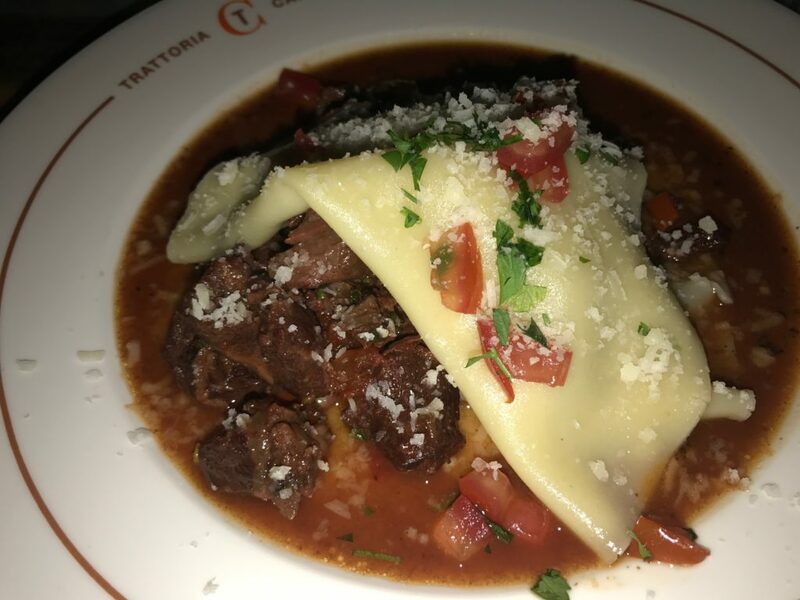 Trattoria Caprese is a fine dining experience that will not break the budget. 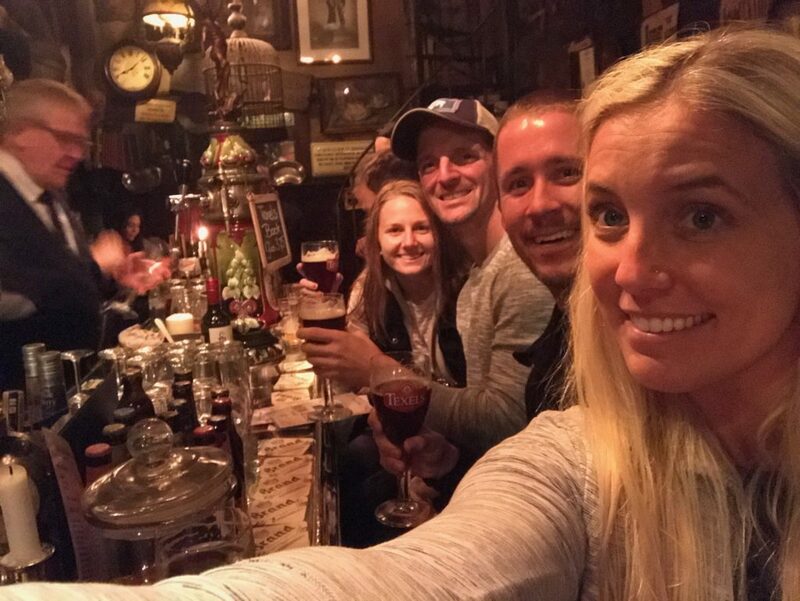 This was our favorite meal in all of Amsterdam. The bruschetta, ravioli, tiramisu and service were absolutely perfect! I left there so so full off delicious Italian food. We had 3 courses and a bottle of wine, with coffee and after dinner liquor for around $75USD for two. In all of our travels, I don’t think we’ve ever been to a more eclectic bar than Cafe De Dokter . Henny, the bartender is a 6th generation owner, as the bar dates back to the 1798, where doctors used to have their meetings. The vibe is incredibly chill, the beer is awesome and the bartender is one of the coolest people I’ve ever met! Calling all cheese lovers! 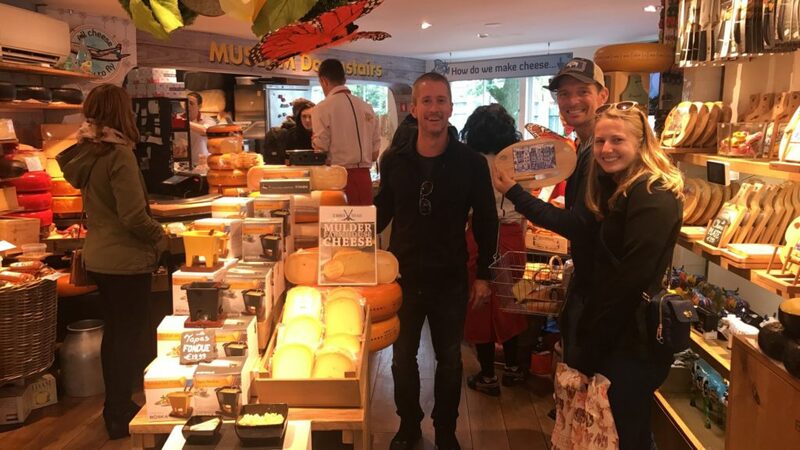 I don’t think there is much more to say than that the Amsterdam Cheese Museum is pure heaven because there are so many different types of cheese samples EVERYWHERE! The Gouda is the BEST! Be careful not to spend your whole travel budget here…it’s tempting! Food is everywhere in this awesome city! 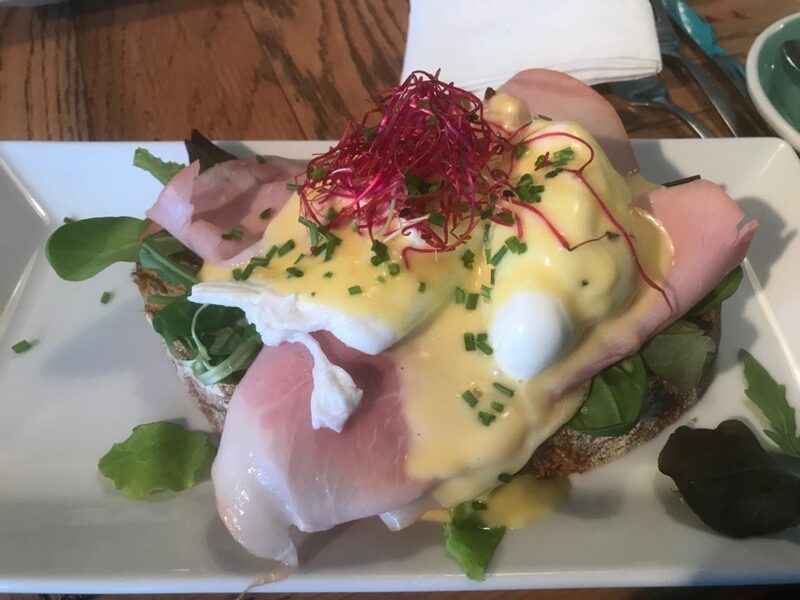 The Breakfast Club is an awesome little breakfast place, located in Oosterparkbuurt nearby our Airbnb. 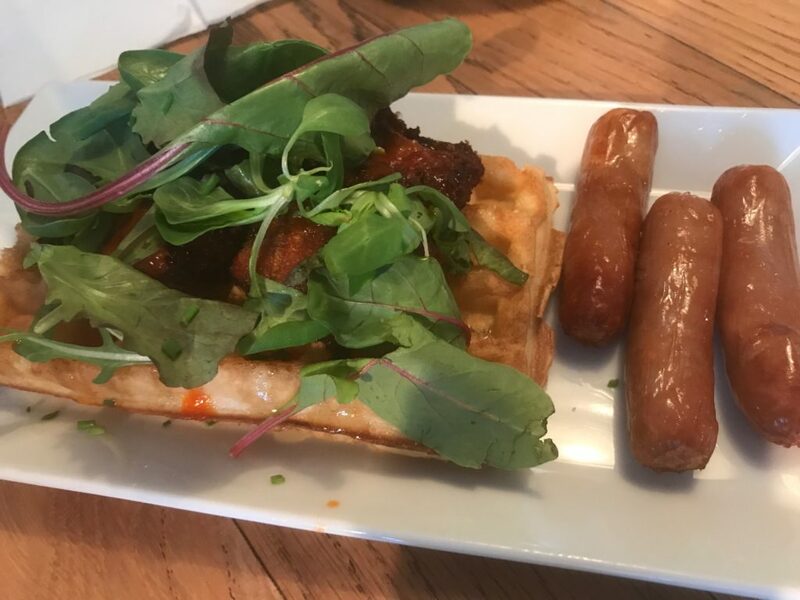 Be sure to try the chicken waffles. Yum! Another gem in Oosterparkbuurt is La Lotta Pizzabar with itsfresh, delicious, Italian brick oven pizza. Get the formaggi…you won’t be disappointed! 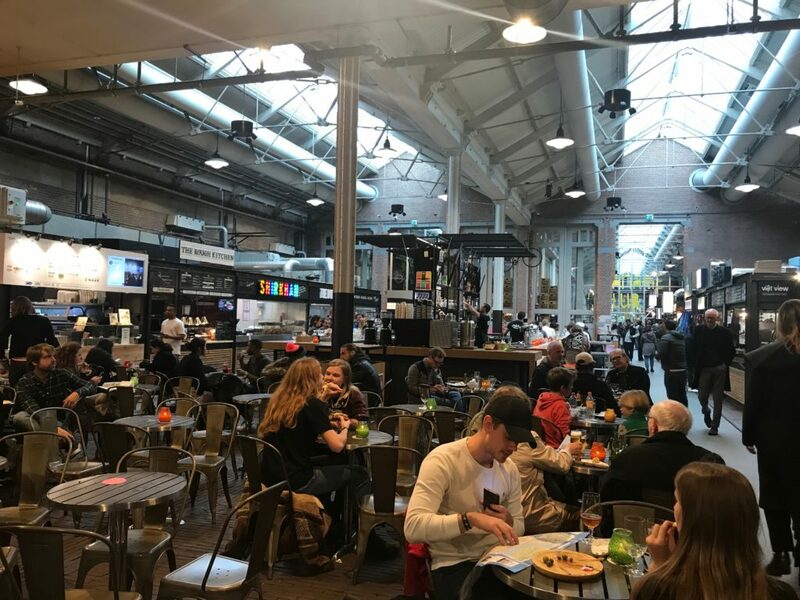 An old tram depot that was turned into an indoor food market, Foodhallen is really cool and original, with great eats! It’s a bit pricey, so I’d recommend stopping here for a snack instead of a full meal. They have a LOT of options for all foodies (including vegans)! 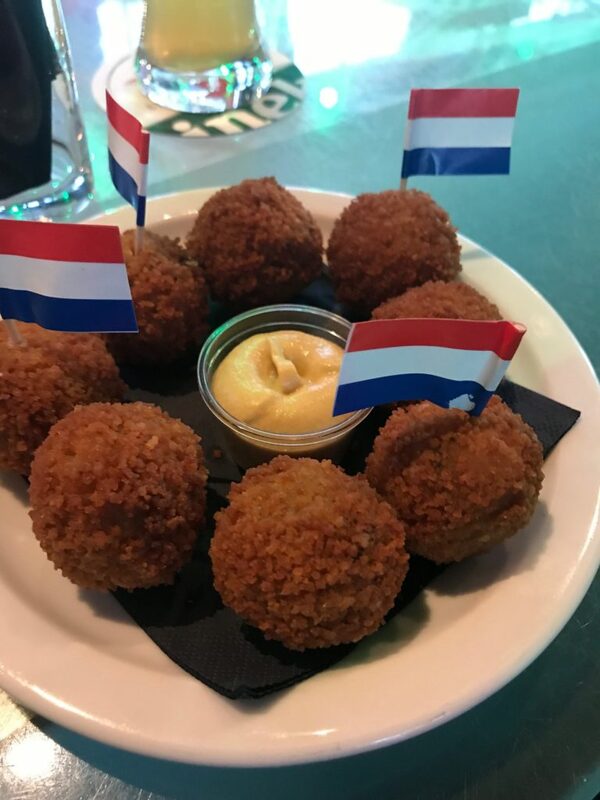 There are SO many Dutch foods that are SO SO yummy (including sausages, savory items, etc. )…but these are my favorite (can you tell I have a sweet tooth)! 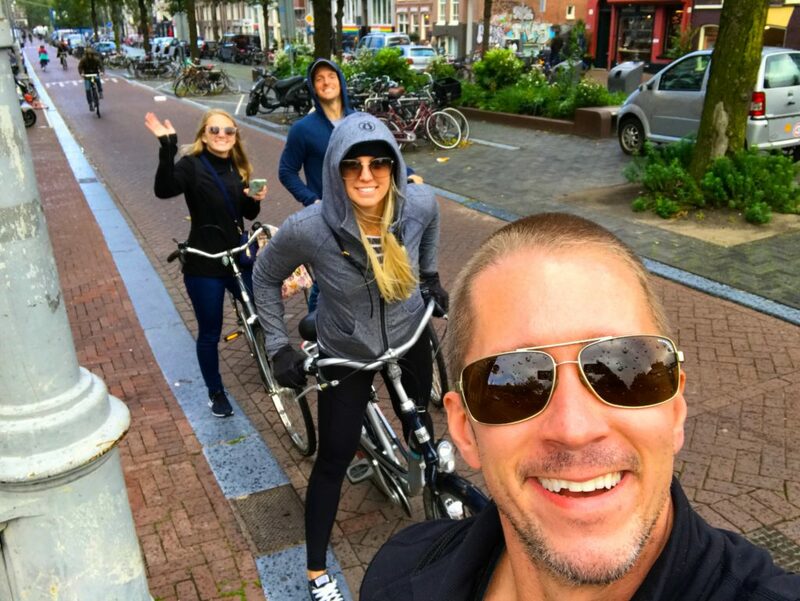 My favorite thing that we did in all of the time we were in Amsterdam, was just ride through the streets and explore. The streets and architecture are so gorgeous… there is no better way to really see the city. 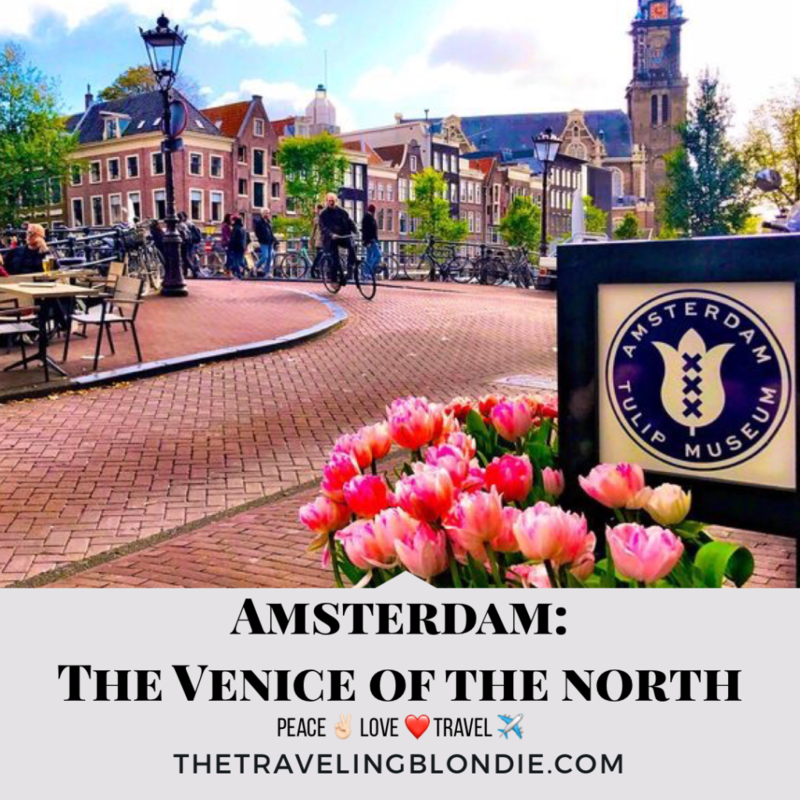 Narrow canals and trendy streets lined with Dutch houses, cool pubs and delicious restaurants make the Jordaan District the most gorgeous and most popular districts in Amsterdam. 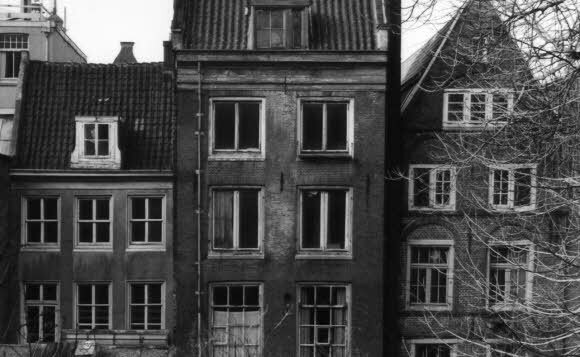 The Anne Frank House is a MUST DO while in Amsterdam, although emotionally challenging. 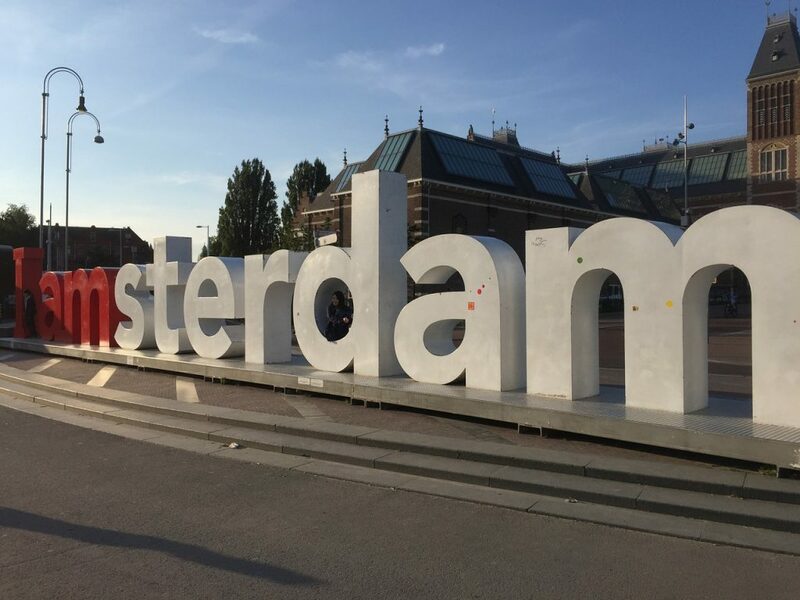 Be SURE TO PURCHASE TICKETS before your trip to Amsterdam, or you’ll end up waiting hours in a line outside. Tickets are affordable, at 9Euros each. This is located right in front of the Rijksmuseum (right next to the Van Gough Museum). Be SURE to go super early in the morning, or you’ll end up with a picture like I took above-full of tourists! The Van Gough Museum is an art museum dedicated to the works of Vincent van Gogh. The museum does an incredible job of telling his life story as you ascend through each level of stairs. Get tickets before to avoid waiting in line. Cost per entry is 17 Euros per ticket. 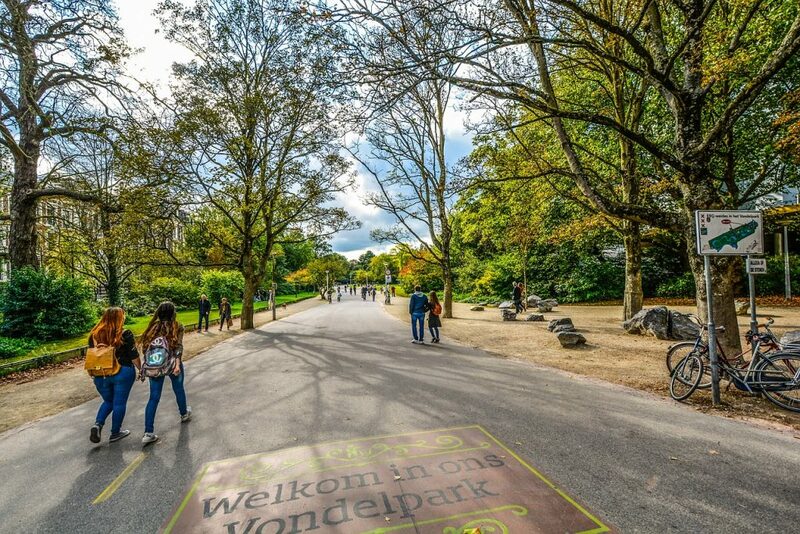 Vondelpark is the ‘Central Park’ of Amsterdam, but much cleaner, nicer and well kept (haha). It’s a gorgeous bike ride through the 47 hectares. There are 3 restaurants located inside the park, if you’d like to stop for a beer/bite. 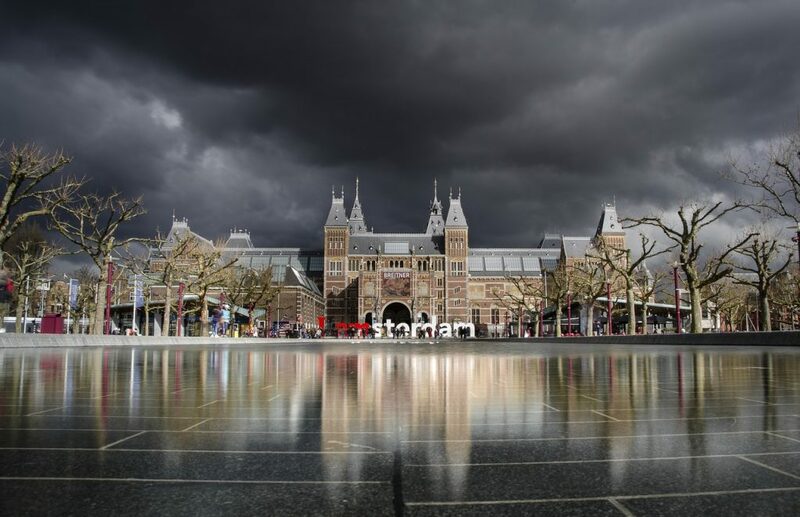 Arguably better than the Van Gough Museum, the Rijksmuseum is larger than the Van Gough and houses many great works of art, including Rembrandt’s ‘The Night Watch.’ Entry is 17.50 Euros per ticket. A really cool, informative tour of the history of Heineken, complete with fun, interactive games and free beer…well not really free because you paid for a ticket (haha). We went on a Saturday, their busiest day, which I wouldn’t recommend, as we waited in line for about 45 minutes (even after pre-purchasing tickets).Cost is 16 Euros per person and well worth it. 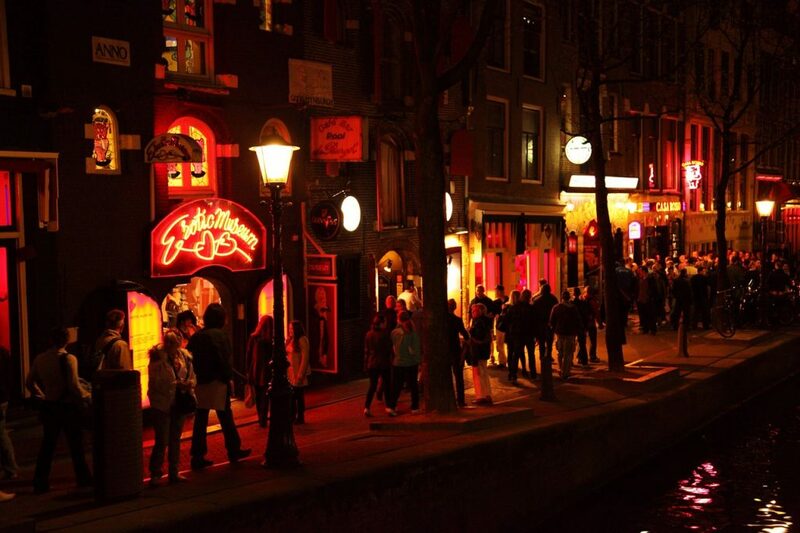 You can’t go to Amsterdam without taking a stroll through the Red Light District at night, it’s definitely a sight to see. I wouldn’t recommend it for children (obviously), as there are prostitutes in windows looking for work. Please be respectful and don’t take photos of them. 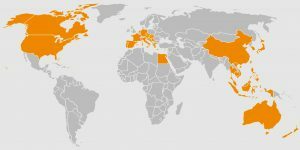 The Netherlands is the birthplace of SO many incredible EDM artists, from Tiesto to Armin Van Buuren to Hardwell and Showtek (and SO many more-google it). If you’re anyway into EDM, then you can’t miss the clubs scene in this city. 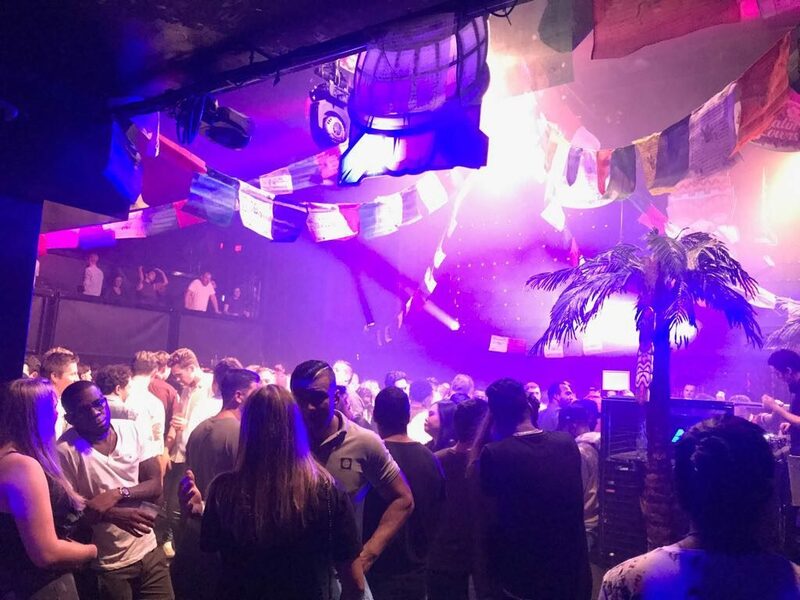 Some of the best clubs to visit are: De School, AIR Amsterdam and Shelter. We went to AIR Amsterdam and had a great night! If you’re looking for a dog sitter in Amsterdam, then there’s no one better than Michelle at Elderpaws. We’ve never had a more kind, caring dog sitter, ever! Michelle really went above and beyond while watching our little Miesha…you can tell she really loves dogs and treats yours like her own. She always kept us well informed about how our little fur baby was doing. We’ll certainly use her service next time we’re in the city. Her rates are really affordable, at 30Euro/night. 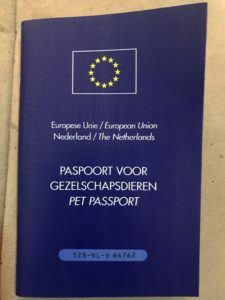 Because we brought Miesha to Europe for the next two years, she is required to have a pet passport that must be issued once you get to Europe by a local Veterinarian. Before leaving the USA, we simply took her to the vet one week before our flight to have her export exam and get the proper paperwork that is then overnighted to the USDA for stamp approval. Once you get that paperwork back from the USDA, you take that with you to Europe and present that to the vet in Amsterdam (or any other country in the EU). 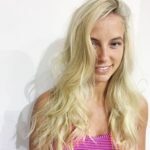 I honestly thought it would be a difficult process to get, but it was totally seamless (compared to taking Miesha to Singapore previously). We handed the girls at the front desk the paperwork and in just a short period, Miesha’s pet passport was complete-for just 7Euros! The girls were super friendly, kind and spoke great English. We’ll certainly return to this vet, if needed while we’re in Amsterdam next time! 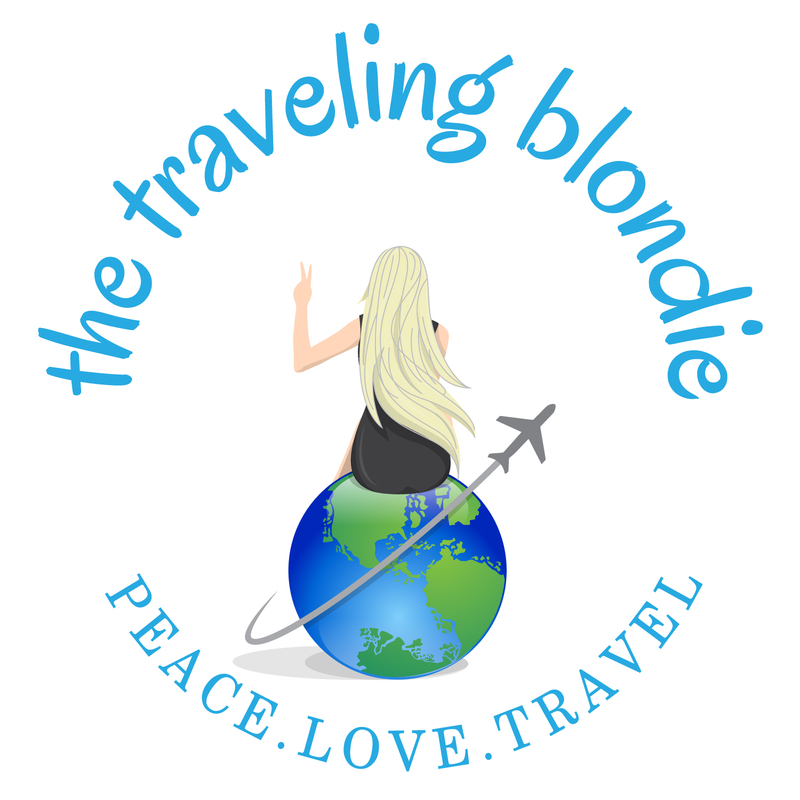 Check Out My Blog Post With More Details About Traveling With A Dog! The Yoga classes iare awesome here! 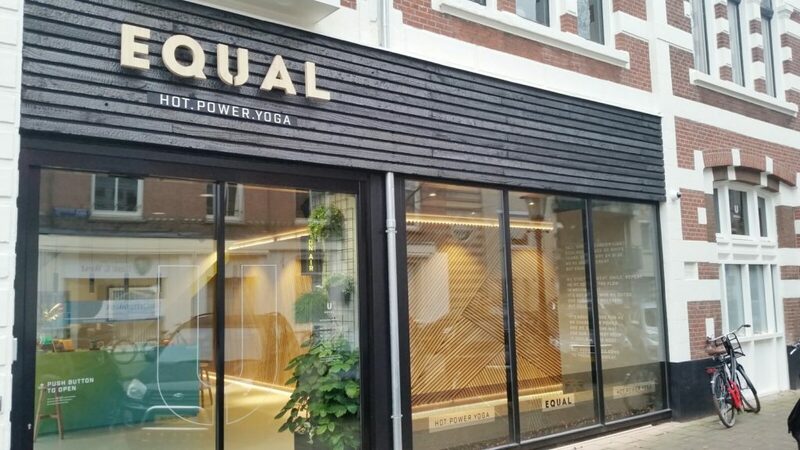 I LOVED Equal Yoga’s studio- it was super clean, modern and the instructors were great! Plus it was located super close to our Airbnb and had an introductory offer of 7 Euro for one week= extra money for food and beer #winning!! VondelGym is an excellent facility, large, super clean and in a great location! It’ll cost you 15 Euros for a drop in workout, though. Marijuana is legal and, from someone that doesn’t smoke, it’s really cool anyway. I was so amazed that you could just walk into a coffee shop, purchase an array of joints-for just a few dollars a piece- walk out and smoke it while walking down the street, without anyone paying you any mind. I LOVE the laid back culture of this city and how many people are just hanging out in these coffee shops, smoking and having good time. Do note that alcohol is not served at these coffee shops where you can buy marijuana. You don’t need to bring a lot of USD to Amsterdam, as there are ATM’s everywhere and, as long as you don’t get hit hard from your banks, it’s smarter to get Euro’s via the ATM than with a crappy exchange rate at the airport. Be VERY mindful of the bike lanes while visiting! We almost got clipped several times stepping out into them–it’s like stepping into oncoming traffic! Did you know that Dutch people love licorice. They consume on average 2kg of licorice per person, per year! Amsterdam has 165 canals (Venice has 177)! 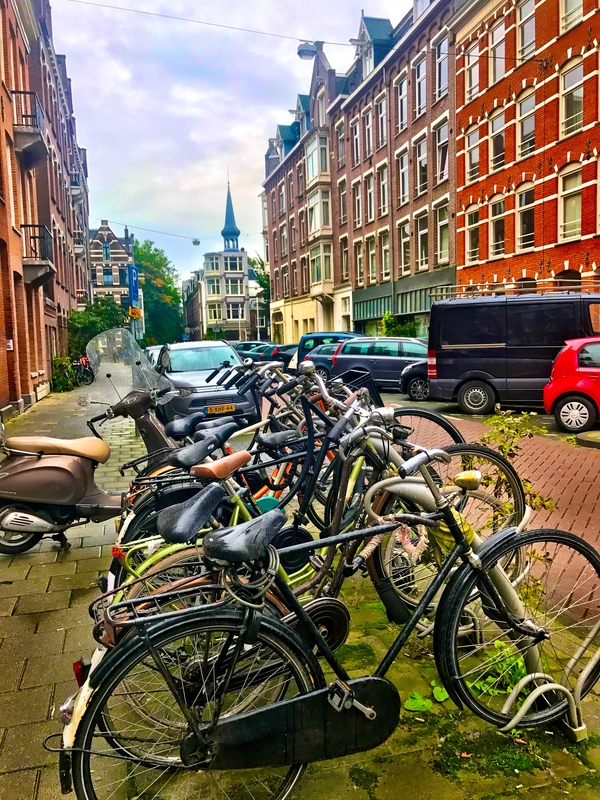 An estimated 881,000 bicycles are in Amsterdam. They say 25,000 bicycles end up in Amsterdam’s canals each year, and only 8,000 get pulled out! There are almost 2,500 houseboats that retail now over $750,000, but initially were purchased many years ago by hipsters for a mere $30,000. Check Out Our Video From Amsterdam! Amsterdam feels like home to me. I love it so much that I constantly try to stop over almost every time I’m in Europe. 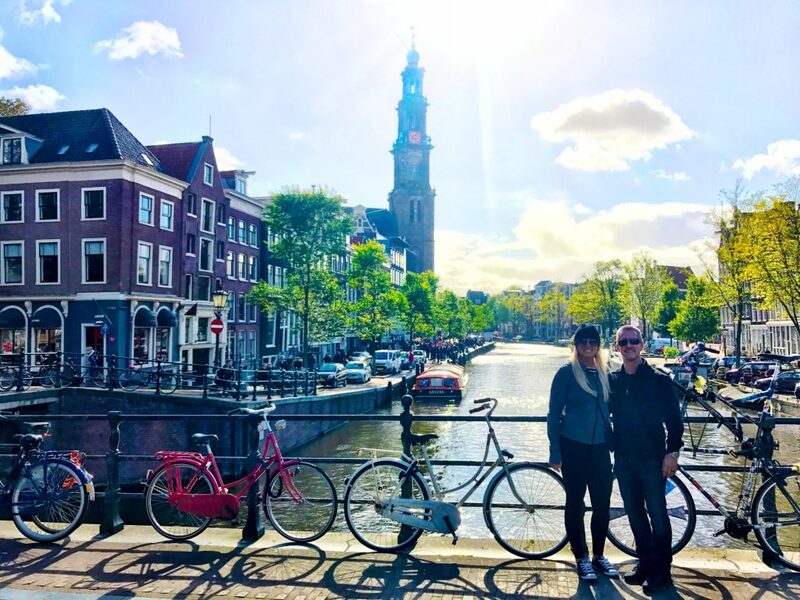 I love Amsterdam so so much, we’re considering moving there!